Over the years, there has been steadily growing interest in the idea that sport can make a difference in development, beyond the obvious benefits to health and wellbeing. Worldwide, hundreds of organisations from the English Premier League to the United Nations are using the power of sport to build peace, reintegrate child soldiers, support survivors of disasters, and promote gender equality. Football proved a powerful entry point to communities – but it is no magic bullet. Football acted as a persuasive ‘hook’ to recruit 4500 young people into the programme, half of them boys. This is crucial because violence against women and girls cannot be ended without engaging men and boys, and it is essential to find ways to engage them in dialogue. 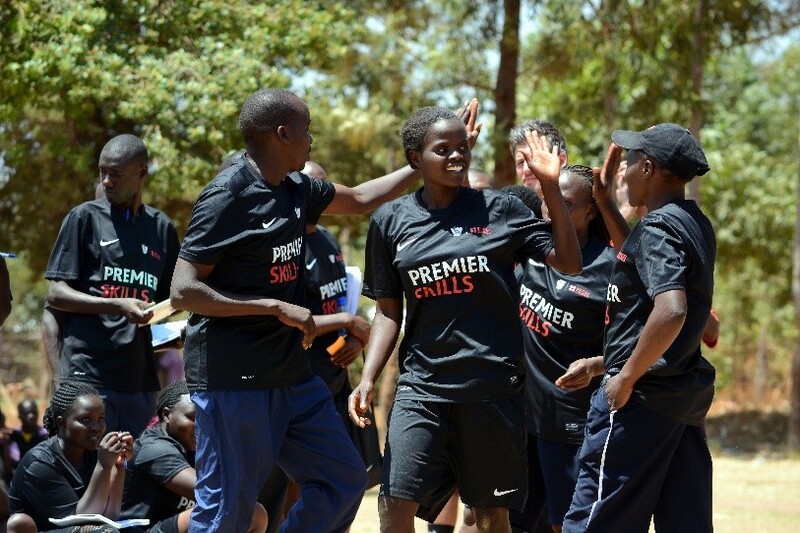 Recruiting and training football coaches from within the communities created role models and gender advocates, in many cases changing the way they thought and talked about gender and violence, and empowering them to become community champions. Football can be an excellent, relatively low resource entry point to communities, in cultures where it is a national and much-loved sport. It requires relatively few resources, as a lot of the social and physical infrastructure is already there (pitches, coaches, teams) – providing instant avenues for recruiting coaches and participants. Football can also make a thematic curriculum more engaging and interesting. The programme adapted its approach over time, increasingly using games and activities on the pitch to teach key messages and encourage young people to think about gender and violence. However, football is no magic bullet. It was only one component in a broader suite of project activities, alongside thematic educational activities, community advocacy, and engagement with politicians, police, health care professionals and teachers, all of which were important to promote community-level change. It is also important to manage community expectations when using football as a vehicle for social change – many community members initially expected Kenya Timz to build state-of-the-art football pitches and help turn their promising players into stars. Kenya Timz reached thousands of young people and helped change their minds about the acceptability of violence in their communities. Girls and boys spent several months playing football and learning about violence, gender and their rights through interactive sessions with community coaches. We found that the programme increased their knowledge and awareness about violence and built their confidence, self-esteem and life skills. It also changed (self-reported) attitudes around gender and the acceptability of violence. Almost half the young people agreed at the start of the programme that ‘there are times when a woman deserves to be beaten’ – this had reduced to 12% at the end. But there have been challenges. In the quest to reach as many young people as possible, the programme recruited most of its participants through primary schools. This succeeding in getting high numbers of in-school youths to sign up, but young people who had dropped out of school didn’t want to come to sessions in the school grounds, young mothers couldn’t attend without support with childcare, and the pitches were inaccessible for youth with disabilities. A new approach was introduced halfway through the programme to reach some these groups, which was successful but resource intensive and reached much smaller numbers – pointing to an important trade-off between reach and inclusion. practice. The programme also reached around 12,000 adult community members through football tournaments and other advocacy events, which succeeded in facilitating deep conversations about violence and the role of men and women in society; conversations many people had never had before. But while several people told us the programme had changed their minds about the acceptability of violence or had even stopped them from being violent towards their girlfriends or wives, this evidence was largely anecdotal. Our survey found that inequitable attitudes are still widespread among adults in both communities. We also found limited evidence that the programme had helped reduce violence (although in Mount Elgon there was more consistent evidence that cases of sexual violence had reduced – an important finding but one that needs to be interpreted with caution given measurement challenges). The evaluation highlights the role that poverty and limited economic opportunities play in putting girls and women at risk and preventing them from escaping violent situations; issues which were beyond the scope of this programme to address. So what should others interested in using football to tackle violence against women and girls do in future? Our evaluation suggests they should: identify a sport that has broad popularity which can provide entry point into communities; carefully recruit and continue to support community coaches (recognising that they are likely to hold some of the attitudes the programme wants to change); integrate sport closely with thematic content; consider strategic and targeted engagement with duty bearers through existing forums; and invest up front in community sensitisation from the start. Finally, other programmes interested in this sort of approach should integrate sustainability considerations from the very beginning. If we want to shift deeply rooted practices such as violence against women and girls, we need to commit to long-term engagement. Otherwise, the risk is that short-term successes will simply be reversed when the programme ends.